Changing a baby's last name after birth is easiest when both parents agree to the proposed change. The parents must visit the courthouse and request a Change of Name application from the court clerk. You must fill out the application, noting the baby’s current name and the desired name. Both parents must sign the application and return it to the court clerk along with a certified copy of the baby's birth certificate. If the parents reside in New York but the baby was born in another state, they can still legally change the baby's name with a Change of Name application. The parents must provide the court clerk with a certified copy of the baby's original birth certificate, passport or baptismal certificate as proof of the child's current name. In some situations, one parent wishes to change the child's name while the other parent does not. Should one parent contest the name change, the parent in favor of the new name must obtain the court's permission before the name change takes effect. The judge assigned to the case reviews the reasoning behind the proposed change and makes a ruling based on what is in the best interests of the child. When a court grants a parent's name change request, the parent must comply with New York's publication requirements. The publication requirements serve to inform others about an individual's new name and apply to both adults and children. To meet the proposed requirements, the parent must publish a notice of the name change in the local newspaper. The publication fees associated with this requirement are the parent's responsibility. When a parent or the hospital makes an error filling out a baby's birth certificate, that error can and will follow the child for the rest of his life. Birth certificate errors are particularly problematic when they involve a baby's name. Parents in New York must fill out a birth certificate correction form and deliver it to the court clerk who forwards it directly to the state Supreme Court for review. 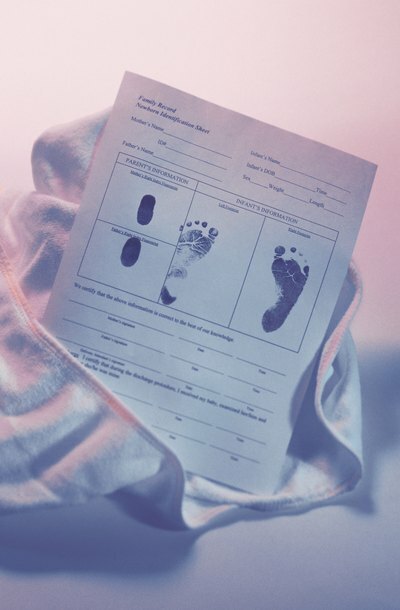 If the error was made at the hospital, the parents must submit the correction form and the child's newborn certificate to the hospital that originally made the error. Both parents must sign the correction form and pay any applicable fees. Fees for processing birth certificate corrections vary by district. CNN Living: Baby Name Remorse – What Do You Do? BabyZone: Can I Make Up a New Surname for My Baby? Before adoptive parents can adopt a baby or child, Colorado state laws generally require a surrender of parental rights by the birth parents. Colorado adoption laws include requirements for the surrender of parental rights through an adoption consent. The specific requirements can vary depending on the marital status of the birth parents.